Glutamine is the most abundant amino acid in the human body and one of the building blocks of protein. It’s considered a conditionally essential amino acid, meaning your body makes enough glutamine on its own, but you may need to take a supplement to treat certain health conditions. Glutamine is a go-to workout supplement with good reason: it gives you an energy boost so you can train longer and harder. In one study, subjects underwent a series of rigorous physical endurance tests. After each workout, they took either glutamine or a placebo. Those who supplemented with glutamine maintained their energy levels from the beginning of the trial to the end, while those who took a placebo noticed a significant decrease in their energy over the course of the study (x). Glutamine may also help you stop that characteristic muscle burn you feel when you’re on your last few reps. Blame lactic acid for that burn. While it’s good news (it means you’re working your muscles to their max) it can also lead to fatigue. But taking glutamine can build up your body’s tolerance to lactic acid. This means you’re less likely to experience muscle burnout, meaning you can bang out more reps for greater muscle growth (x). Glutamine’s benefits don’t stop when you leave the gym. Studies suggest it maintains protein synthesis so you can build and strengthen your muscles even after a workout (x). Your muscles also need glycogen to recover from a tough physical activity. Glycogen is a molecule that your body uses to store glucose, an important source of energy. Research suggests that glutamine promotes glycogen synthesis. This speeds up the recovery process and reduces muscle soreness associated with weight lifting and strength training (x). If you’ve ever hit the gym non-stop for several days in a row, you may have started to feel a bit off: sluggish, fatigued, and even sick. What gives? Isn’t working out supposed to boost your immune function? Yes–but only if you don’t overdo it. Excessive prolonged exercise can actually weaken your immune system because it depletes your body’s glutamine stores (x). Low glutamine levels don’t just negatively impact your athletic performance; they could also make it harder for your body to fight off infections. Glutamine helps your immune system function properly by improving the activity of neutrophils, white blood cells that activate your body’s defense system (x). Inadequate glutamine levels could make you more susceptible to illnesses like colds and the flu. The good news is that glutamine supplementation has been shown to improve immune activity (x). It may even accelerate wound healing, especially when paired with a protein-rich diet (x). If you’re constantly craving sweets and junk food, glutamine may be able to help. Studies indicate it stabilizes blood glucose levels, which could curb those nagging cravings for sugar and carbs (x). And if you feel like you’re losing the battle of the bulge, there’s more good news: glutamine also increases your resting metabolic rate. This means your body will continue to torch fat hours after you step off the treadmill (x). No, not a beer gut–we’re talking about your small intestine, which uses glutamine as one of its main fuel sources to absorb nutrients from the food you eat (x). When your GI tract effectively absorbs nutrients, you’ll experience fewer digestive issues and improved overall wellness. Glutamine also strengthens and protects your gut lining and encourages the healthy growth of cells in your GI tract (x) (x). 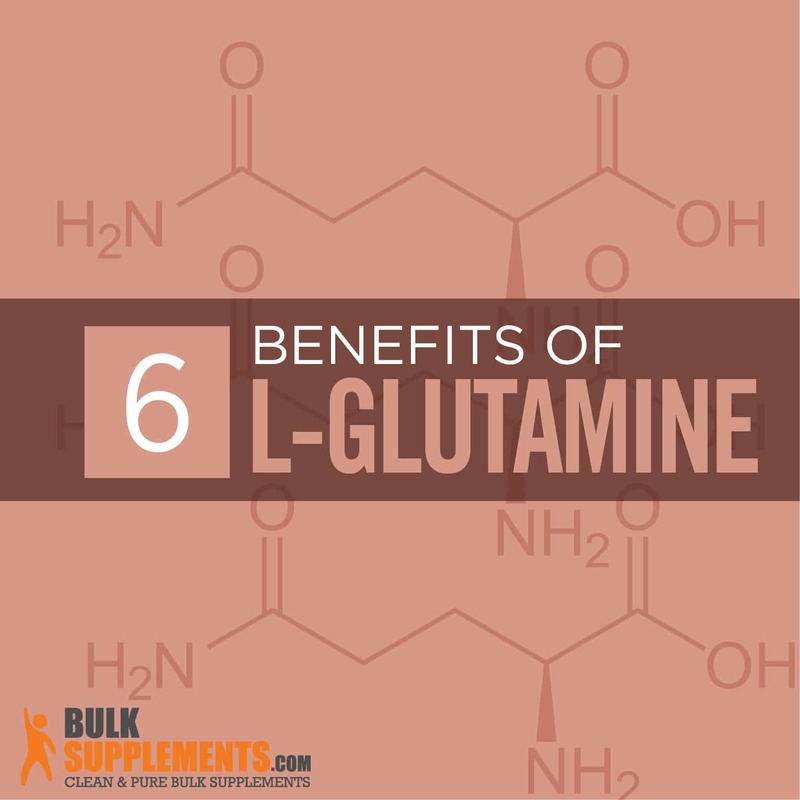 There are two types of glutamine supplements: l-glutamine (its standard form), and n-acetyl l-glutamine, which has undergone acetylation, a process that makes it easier for the body to absorb and utilize organic compounds like glutamine. 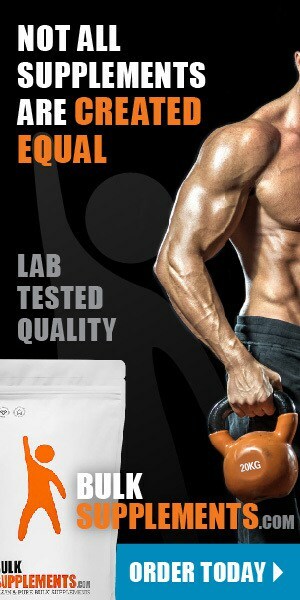 Acetyl l-glutamine is also more stable in water than l-glutamine. Both, however, can improve your health. Experiment to see which form works best for your body. If you’re using it for muscle gains, the best time to take glutamine is within 1-2 hours of completing your workout. This way, it can get right to work repairing and building lean muscle. However, you can still add it to your preworkout to promote muscle growth during your gym session. If you’re using it for digestion, take it either one hour before you eat or with your meal. L-Glutamine Powder: As a dietary supplement, take 500 mg (scant 1/4 tsp) to 1000 mg (just over 1/3 tsp) up to three times daily, or as directed by your physician. Do not heat this powder. Our glutamine powder dissolves easily in water and has no discernible taste. Mix it into your favorite workout shake, juice, or water. L-Glutamine Capsules: As a dietary supplement, take 1 to 2 capsules up to three times daily, preferably immediately after your workout, or as directed by your physician. As long as you stick to the recommended dosage, glutamine side effects are rare. Some mild side effects may include stomach upset, heartburn, and dizziness. Talk to your doctor before taking glutamine if you’re nursing or pregnant. If you have a history of liver or kidney disease, Crohn’s disease, or if you’ve recently had a bone marrow transplant, avoid taking glutamine. You should also avoid glutamine if you have a seizure disorder or if you’ve been diagnosed with manic disorders, as glutamine could worsen these conditions. The most abundant amino acid in the body, glutamine is critical to keeping you healthy. It supports your immune system so your body can fight off infection and keeps your GI tract functioning properly. As a workout supplement, it boosts muscle mass and strength, and could even improve your energy for more effective workouts.